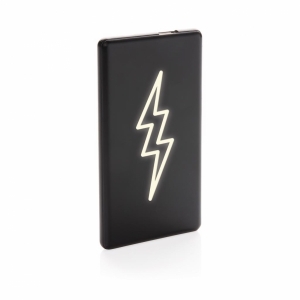 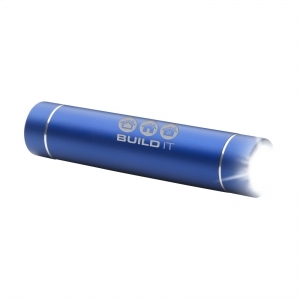 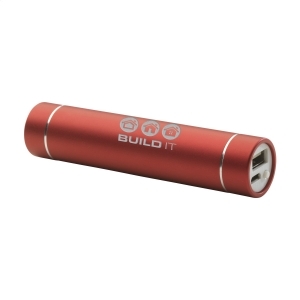 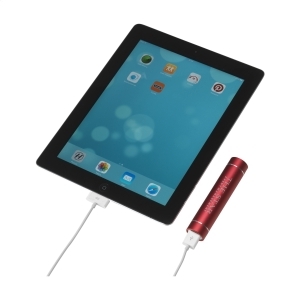 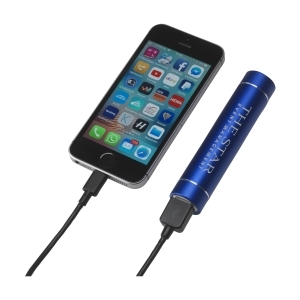 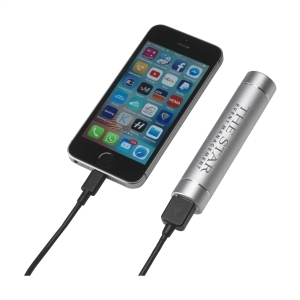 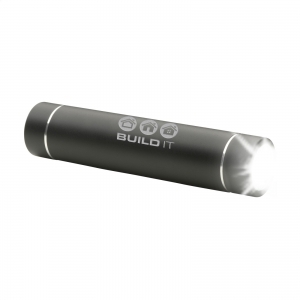 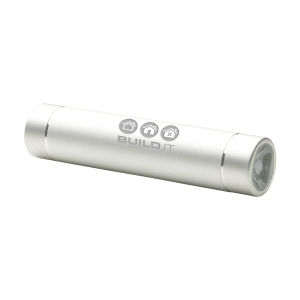 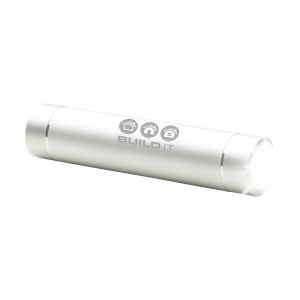 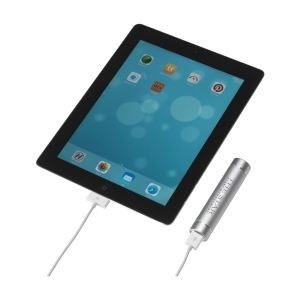 Compact, aluminium Powerbank with double function: torch with very bright LED-light. 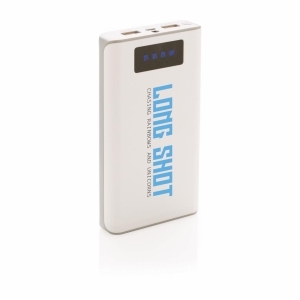 Powerbankwith lithium battery (2600 mAh/3.7V). Input: 5V-1A. Output: 5V-1A. Can be charged with the included USB-cable. Compatible with the most popular mobile devices. Includes instructions. 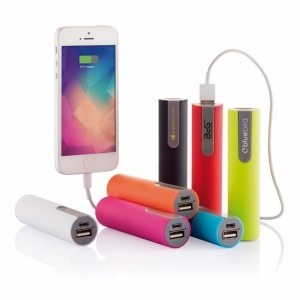 To order an unprinted PowerFlash 2600 powerbank, please complete the details below.